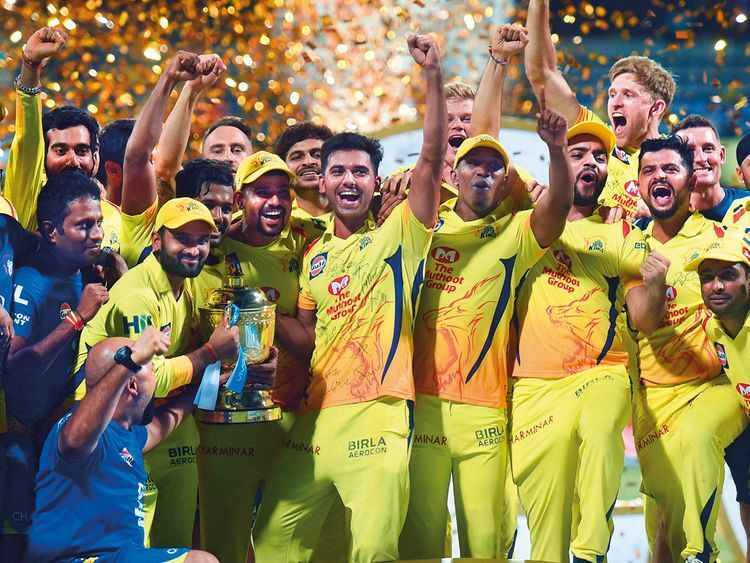 Dubai: The Chennai Super Kings, three-time champions and arguably the most dominant team in the Indian Premier League (IPL), will be ready to defend their crown in the 12th edition of the Twenty20 league, which gets under way on Saturday. They proved the critics wrong by regaining the title last year with an ageing team, but will they be able to do an encore of 2010-2011 when they made it two in a row? 1. Well-oiled machine: History will tell that there is no substitute to experience and right from the inception of the franchise league, the ‘Whistle Podu’ unit has been the team to beat under the astute leadership of Mahendra Singh Dhoni, popularly known as Thalai (meaning Head), among the ardent Chennai fans. Though the Super Kings have lost many of their stars during the course of the past decade, Dhoni, Suresh Raina, the top-scorer in the IPL and Ravindra Jadeja — who form the backbone of the Yellow Army — will once again hold the key. 2. Age only a number: It is a known fact that Chennai comprises many veterans who have retired from international cricket while others like Dhoni, Rayudu and Murali Vijay on the threshold of calling it quits while Imran Tahir has already spelt out his intentions to retire after the World Cup. However, the key is players like Shane Watson, Dwayne Bravo have still a few years left in them, the Australian all-rounder emerging the Player of the Tournament in the recently concluded Pakistan Super League is a testimony to it. 3. Home-grown talents: Thanks to the rule of limiting only four international players in a playing XI, Chennai owe their success to the array of home-grown stars and talents that have shored up the team to tide over testing times. Starting from Raina, Dhoni, Jadeja, Vijay and Mohit Sharma, the last two on a second term with Chennai, former players like Ravichandran Ashwin, Subramaniam Badrinath have all played a big role in the success, which in turn has helped many of them to earn the India caps. 4. 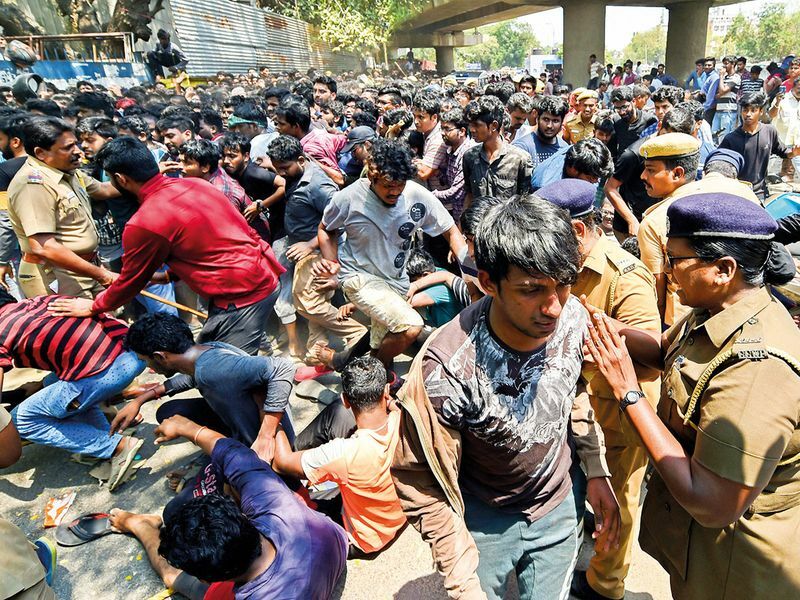 Back in their citadel: The Super Kings’ absence for two years due to a ban on corruption charges left the fans yearning to see their stars in action at their home turf in Chennai, but due to the Cauvery river issue, the organisers were forced to move their home matches away to Pune. Despite the lack of home support, Chennai proved a point to regain the title and stamp their authority on the league. Now they will be playing their home matches at Chepauk and will have a huge fan base, as evident from the packed stands for the first practice session. With the summer weather likely to make the wickets dry, Chennai have enough depth in spin department to spin a web around their opponents — one of the key reasons behind their phenomenal success at home. 5. Variety in attack: The astute brains of Dhoni and former New Zealand skipper Stephen Fleming have ensured that the team composition is one of the best. While the batting revolves around ‘chinna thalai’ (deputy head) Raina, Rayudu, Watson, Du Plessis, Vijay and Jadhav, the bowling can pose a real threat. The attack possess both left-arm and right-arm pacers, leg-spinner, right-arm off spinner, left-arm orthodox spinner to create trouble for the rival batting line-up. The likes of David Willey, Lungi Ngidi, Shardul Thakur, Deepak Chahar, Mohit Sharma, Bravo and Watson man the pace attack while Harbhajan Singh, Mitchell Santner, Tahir, Jadeja being the main spinners with support from Jadhav, Raina and Karn Sharma. Given Dhoni’s penchant to throw in the odd surprise, the skipper might use one of the upcoming domestic players as an ace up their sleeves. Anyone to dismiss the Super Kings in 2019 will have to do it in their own peril.